Last time I wrote everything was going well. I had just finished the best week of training I’d done in several years and was feeling good about my self and my prospects at the Great North Run. Since then its been downhill and I really feel like I’m struggling at the moment. I’m hoping that by logging this in this blog it might help me turn things back around again. I’ve had bad weeks before and got through them but this is a particularly nasty feeling one. I’ve had quite a tired and tight left calf for the last week or so and that was the start of my problems. Now however I fear I’m getting trapped in a psychological rut as well and far from completing 6-7 mile runs without issue I’ve been struggling doing just a couple. So how do I get out of this rut? Well any suggestions greatfully accepted. I think I’m going to try and spend this weekend healthily relaxing. Last weekend was great fun but consisted of a wedding, a fair bit of booze, quite a bit of food (German sausages!) and 900 miles of driving – with a hell of a lot of sitting in the car. None of that was probably helpful. I’m also going to make sure that I do plenty of stretches on the calves over the next couple of days to try and ease them off. I might just try and get on the bike a bit as well; I’ve not done much cycling the last couple of weeks and doing a few miles might just be a good way to get some fitness work without worrying those troublesome calves in quite the same way as running. Fingers crossed that leave me ready for another good burst next week. Fingers crossed! Tell you what also might help. Having some more lovely people sponsoring me. 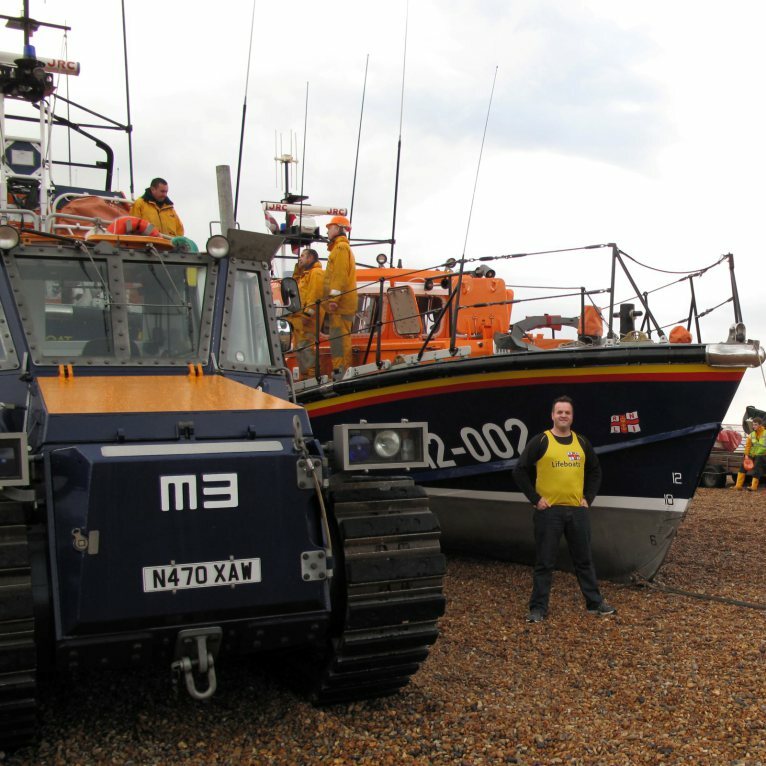 Nothing like knowing that there is a good pot of cash waiting for a good cause (Hastings Lifeboat) at the end of my efforts! A check on the calendar, and an email reminder, led me last week to the scary recognition that, as of today, I only have two months training left until the start of the Great North Run. With that in mind last week I started to properly ramp up my training. Just my luck that coincided with the first properly hot week in about 5 years. The weeks exercise started pretty well. I was up early on Sunday morning and, for the first time in a couple of years, extended my Seafront route to the eastern end of Bexhill (in a few more weeks I’ll be aiming for the west end!). It was a slow run. Only 9.29 mins/mile; but 7.5 miles is quite a step up in distance than on the past few months. Tuesday and Wednesday were about trying to increase speed by reverting back to 3-4 miles and rather pleasingly I got speeds of 8.57 and 8.3 mins/mile over the shorter distances. Just what I needed and great preparation for Thursday. Thursday 11th might just be one of my best days training. Up in the morning and onto the bike to cycle the 6 miles to Bexhill station in a new record time. Then lunchtime was out running again. 6.25 miles and at 8.50 mins/mile. Damn good progress. The cycle ride home was tough with legs now tired and a strong headwind but still managed a new best way up the west hill at the end of the ride. I was pretty shattered on Friday morning but decided to go for a final Seafront run. However after a short distance i felt the legs were pretty tired so completed an easy steady mile to St Leonards, relaxed a bit and stretched the legs a bit more and then went for a faster return mile. Into the wind but sub 8 minute mile (Roger who?). A pretty good end to the week and worthy of a weekend off. And now its Monday. I’m writing this on the train to work. Kit bag next to me. Planning on another 6.25 miles today but its already too damn hot out there. Ho hum! I just need to remind myself. It is now 2 months today that I’ll be standing on the central motorway in Newcastle heading towards South Shields in the company of about 50,000 others. 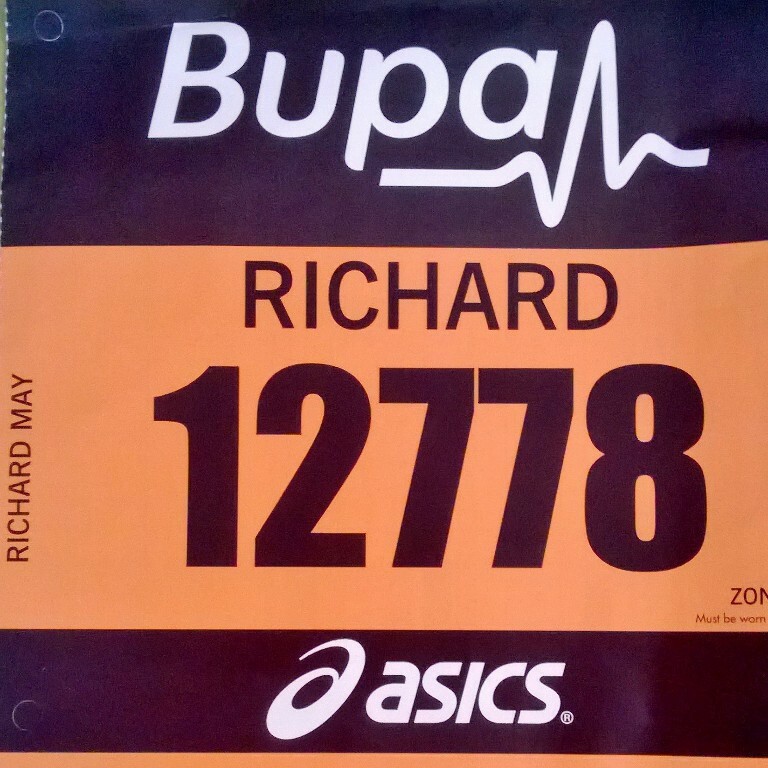 So finally, and for the first time since October 2011, I found myself on Saturday morning standing on a start line preparing myself for running in the same direction as a number of other folk in the name of….? Well for me fitness mostly; but (perversely) a bit of enjoyment as well. This was quite a different event to previous outings. Although shorter (10km as opposed to the 10 miles or half marathons that I’ve previously run) the circuit was around some forest trails rather then on the streets of Tyneside, Hastings or Portsmouth. Conditions we’re nasty too. It was cold, wet and windy and quite muddy underfoot. But hey, this would be fun! It was also an earlier start. A 9am gun time meant being up at 6am for a light breakfast, drive the 20 miles to Bedgebury Pinetum, and get set to go. After the obligatory mass warm up (which I hate as it exposes my lack of coordination to the general public) we were off. 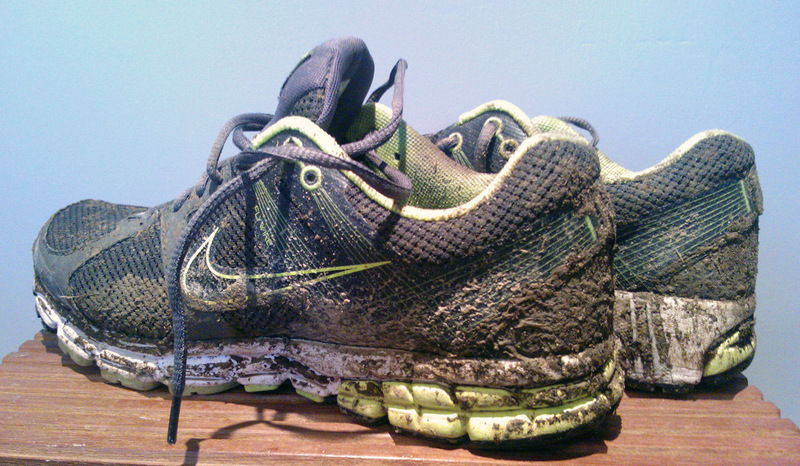 The course was quite mixed and, its fair to say, quite different to running along Hastings Prom. The first 1k was up a fair incline and slow going as people of varying paces worked out their relative places in the pack. I was content enough seeing the proper athletes head into the distance whilst still managing to overtake quite a number of people as I got up to speed. The course comprised a 7k loop with a 1.5k spur at the start and finish. As the course broke onto the loop it was nice to start heading downhill and to be able to make some time back on the first slow stretch; however I couldn’t help but notice that the return leg of the loop could be seen rising quite high the other direction. And then as we reached the turn in the loop the hill reversed also. encouraging each other on with a group of three of us in particular seeming to take it turns to stop for a bit, get egged on by the others as they passed us before they then took turns to break. Thus it was that we kept going until we joined the start/finish spur, went past the 9k mark and entered the final downhill stretch. By this point the 50 minutes had already passed and I’d have needed a helicopter to make it inside 55. I was already resigned to being outside the hour mark which was a big disappointment but probably not surprising as the last few weeks training had not been great. hiding around a corner. Really open up. Sprint finish. Over the timing mat. Stop the watch…. 59.50. Get in. A slower time than I’d hoped for but much better than I thought I’d manage from the 8k mark. So that’ll do me for now. Think I’ll find another 10k race in a few months time and see how I can do then. At the time of writing I’ve managed to raise £90 for the British Heart Foundation which has also well beaten my target so all in all a good result. Thanks very much to those of you who sponsored me. Also thanks to Nash for once again getting up early so she could stand around in the cold and wetvIn a muddy wood. Your support is always greatly appreciated.